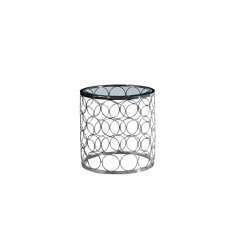 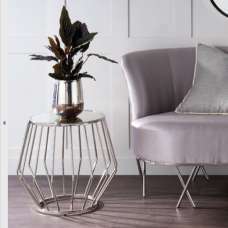 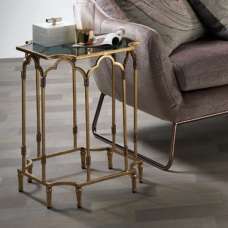 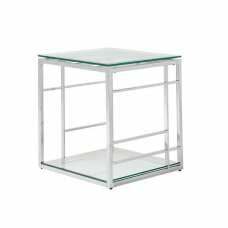 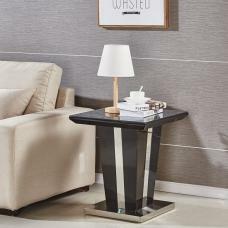 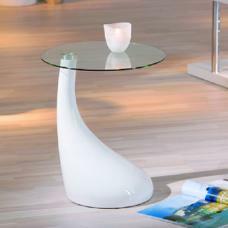 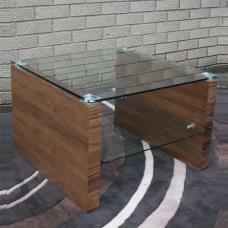 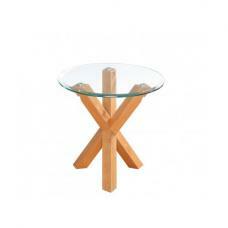 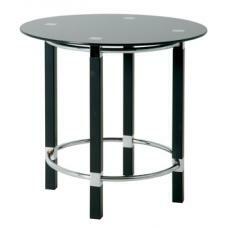 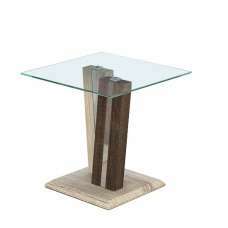 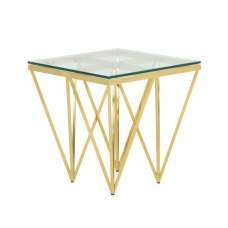 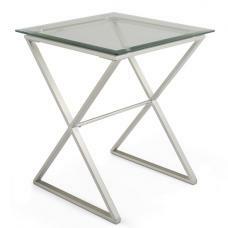 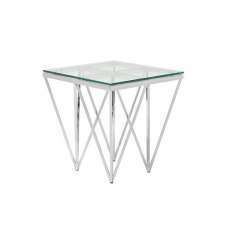 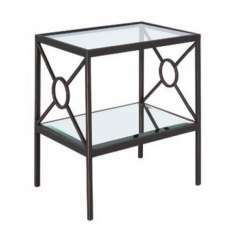 Williston Mirrored Glass End Table In Clear With Metal Legs With Undershelf, Ideal for small spaces and perfect beside your sofa. 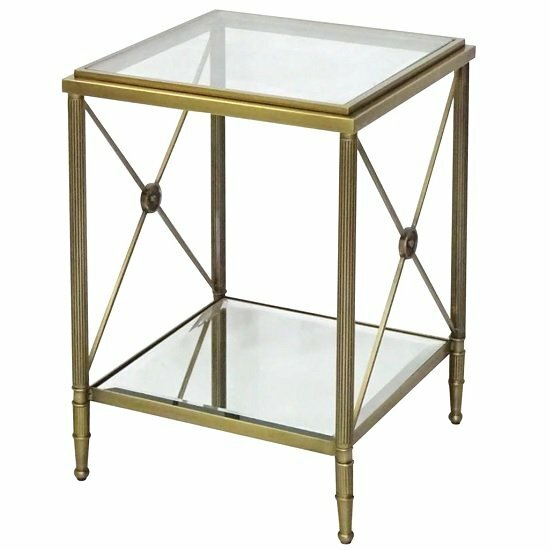 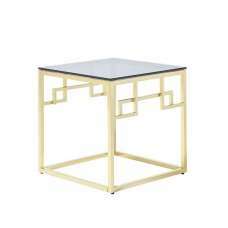 This antique style End table has a glass top with a mirrored layer on the bottom with ornately detailed with criss-cross design legs. 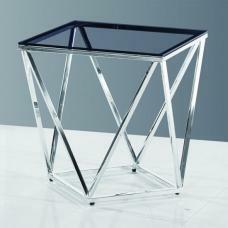 High-shine chrome finish with mirror top.